CSUSM is the second largest State Campus in San Diego County after SDSU. The enrollment at CSUMS is increasing rapidly due to the fact that SDSU reached its full capacity and its expanding its enrollment to CSUSM. There are currently over 15,000 undergratuate students and approximately 600 Jewish students at CSUSM. The campus estimates a projected growth of 27,000 students. This growth will increase the Jewish population on campus to an approximate of 1,350 Jewish students. Due to the extended global Chabad network of 5000 Chabad Houses, thousands of families turn to Chabad for a “home away from home” for their children while they are on campus away from home. Since the 1960s, Chabad campus centers open their doors to every Jewish student regardless of background or observance level. Programming always reflects tolerant, non-judgmental and open discussions, which is the hallmark of Chabad's inclusiveness. 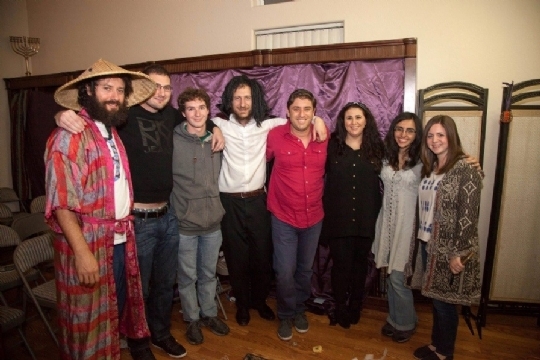 A unique quality of Chabad's campus centers is the leadership provided by a dynamic couple who create an atmosphere where students can feel safe and seek guidance on variety of social, education and spiritual issues. More recently, with the assistance of visionary philanthropists George and Pamela Rohr of New York, Chabad on Campus International has set an ambitious course of expansion. Today, full-service Chabad Jewish student centers are found on over 210 campuses worldwide. 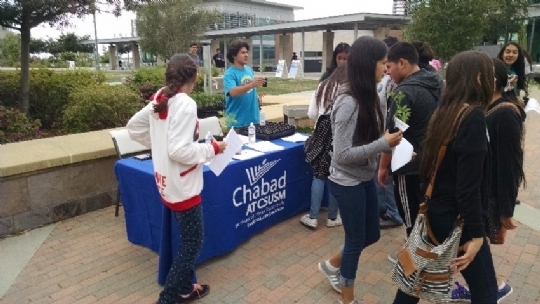 Chabad at CSUSM seeks to be the "home away from home" for students of North County San Diego and offers a wealth of social, educational and spiritual programs. At college, students are exposed to new ideas and experiences and Chabad seeks to ensure that students graduate as stronger and more empowered people than when they entered. Thanks to our generous partners, Chabad at CSUSM purchased a Chabad house in close proximity to the dorms at 649 Sandy Ln., 92078. It’s a 4,000sf custom built house. It was built in 2005 on a 0.87 acre of useful land. Our new Chabad house has plenty indoor and outdoor space. The 0.78 acre of outdoor life features a commercial built in BBQ, built-in sound system, fire pits, exotic palms and plants, Koi water pond, a display of Israeli drip irrigation system and beautiful views. We look forward to exciting activities and events at our new place! Engaging, informing, and caring by placing the individual first. 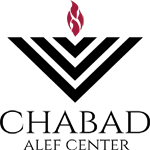 The approach we have taken with considerable success is to welcome each student as an individual with the vision of opening a door to Jewish knowledge and practice for all students and faculty. In an atmosphere of a private home, where the directors are actually hosts to their student guests, Jewish students of all backgrounds and degrees of observance can enjoy exploring their Jewish heritage in a warm, welcoming and non-judgmental environment. Predicated on the Mitzvah of "V'Ahavta L'Reakha Kamokha - Love your fellow as yourself"- we seek to engage Jewish students at their own pace and comfort levels through innovative educational programs in all areas of Jewish life. Our efforts have made us an integral part of the CSUSM community and we are pleased by the tangible results we have achieved thus far. We have served Shabbat dinners, held weekly classes and holiday celebrations, and have provided other programming, both in our Chabad house and on campus.